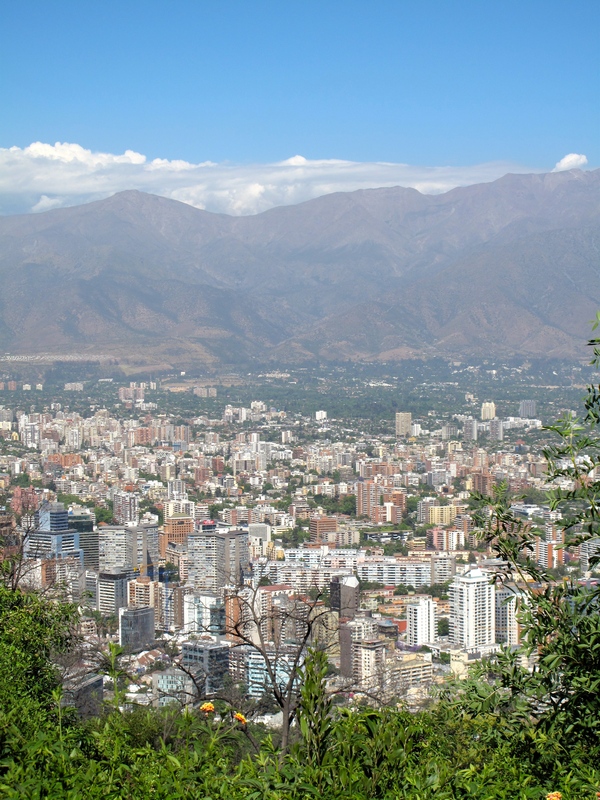 Wine, beach, art, skiing, Andes, history and a modern metropolis, Santiago is the best city to ease into South America. 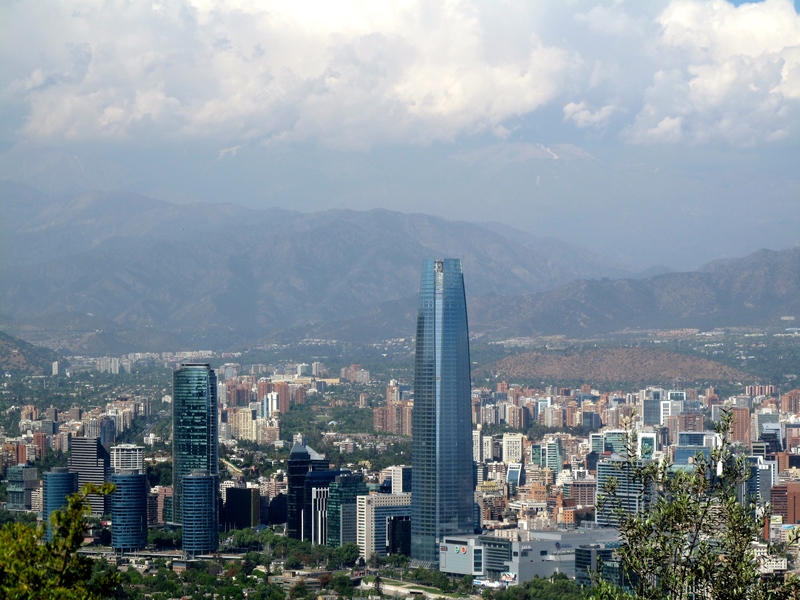 There are two Santiago’s, one is “central” home to historic Plaza de Independence, government buildings, museums, cathedral and my favorite the Mercado Central. The other is San-hattan (a play on Manhattan) a modern commercial center so bustling you could be in Asia, Europe or New York. 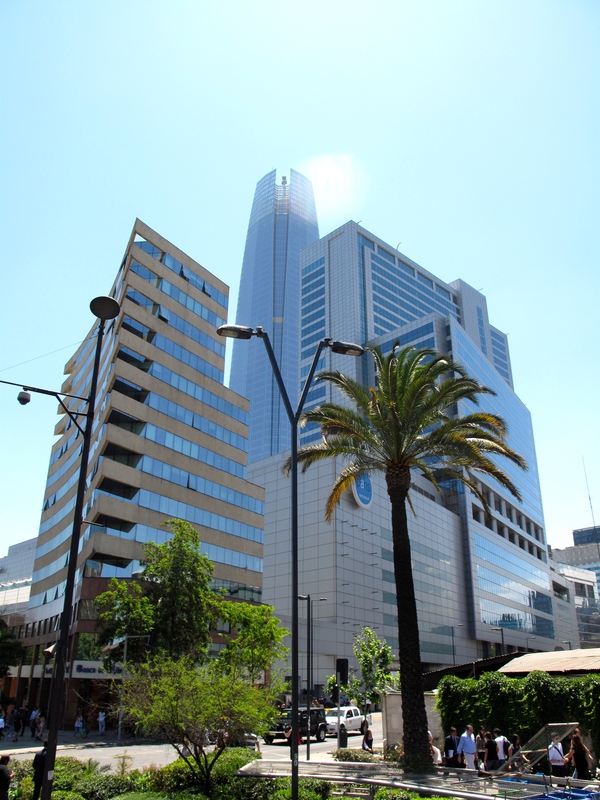 Santiago is the center of commerce for rapidly developing Chile and you can see the results of government push for investment, export and education, it’s booming. To see both Santiago’s you need 3-4 days. I arrived from Pucon on an overnight Turbus, a large bus company that services all of Chile, including a shuttle to the Santiago airport. 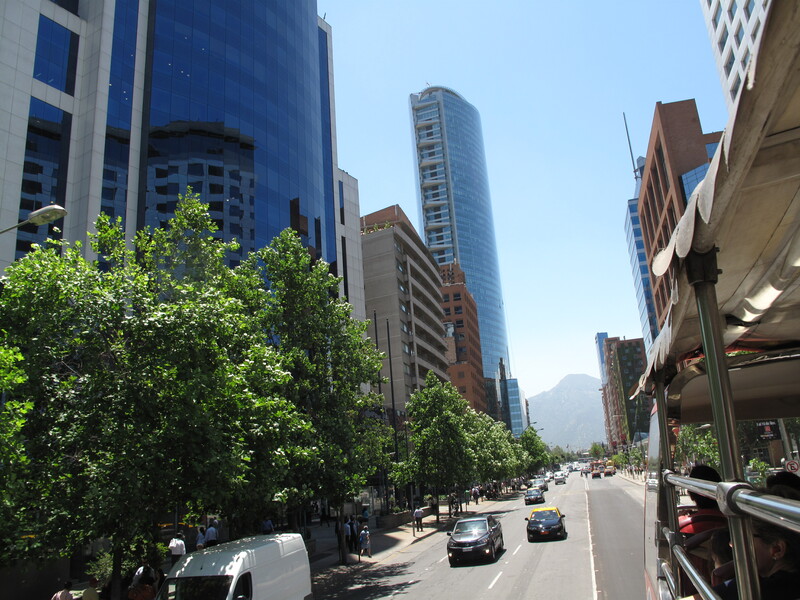 Taxis are extremely expensive in Santiago so you will want to use the clean, efficient (and crowded in rush hour) metro system. 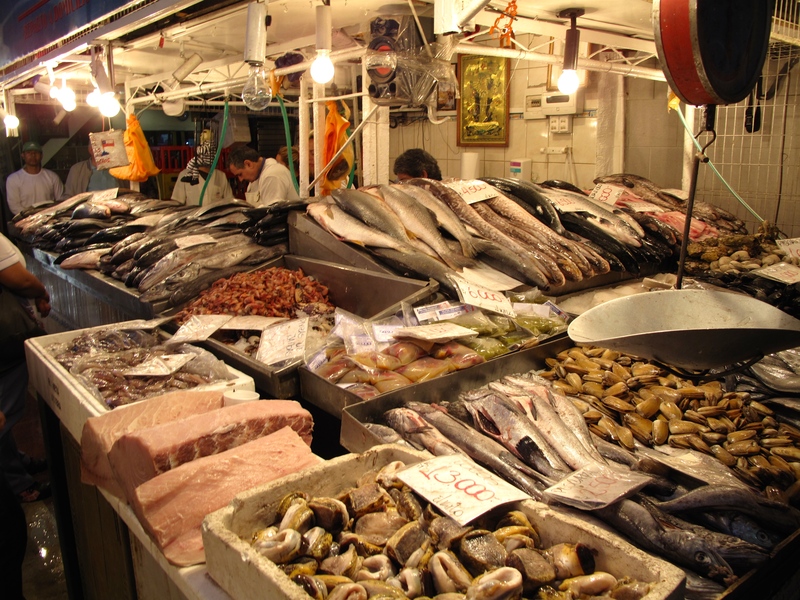 Seeing as I arrived at 8am and my room wouldn’t be ready until 2pm, I dropped off my bag and headed straight to the famous Mercado Central – fish market – and treated myself to a bowl of “marescos” seafood soup, then wandered around the central area for several hours. 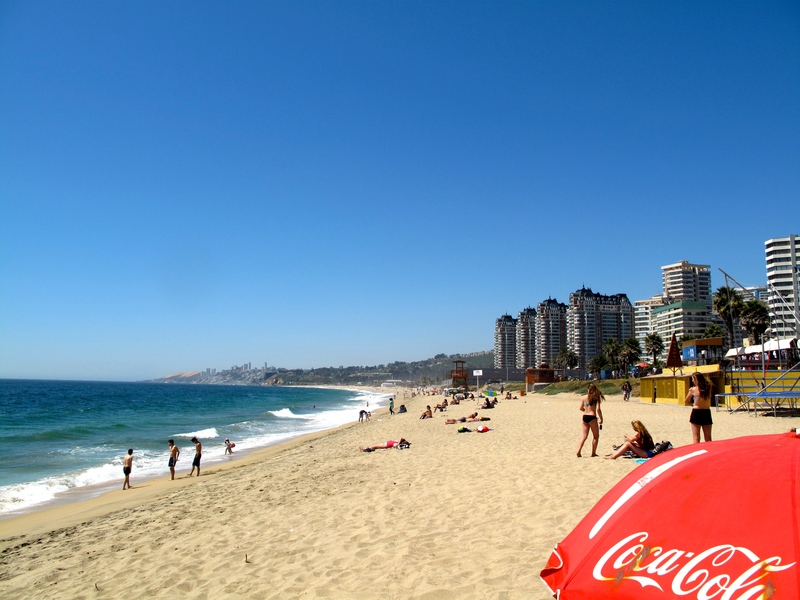 If you are feeling a bit travel weary and home sick a stop at the mall Parque Arauco take you right back to Orange County’s South Coast Plaza or any other modern “American” style mall, complete with PF Changs’ and TGI Fridays. 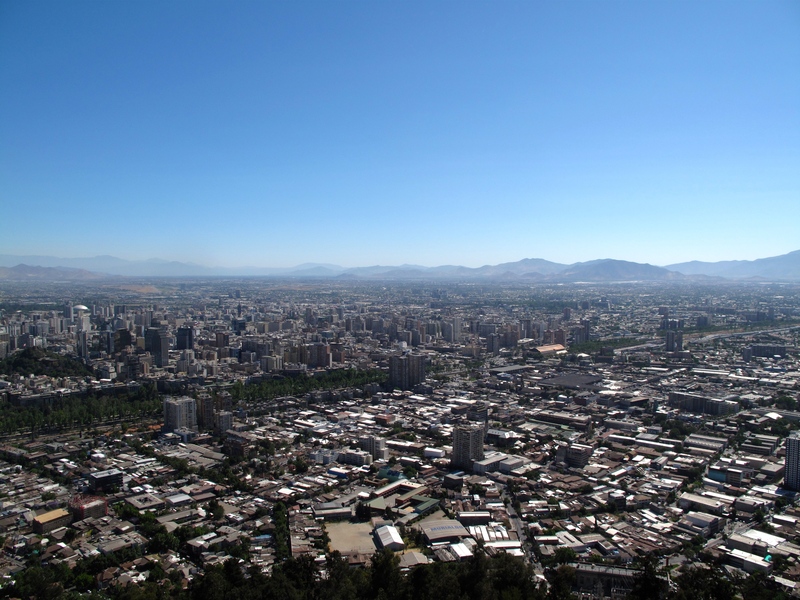 One hour outside of Santiago is Chile’s wine country. Actually Chile grows grapes as far as La Serena – 6 hour bus ride north of Santiago, and all they way down to Talca -4 hour bus ride south of Santiago. Wine is one of Chile’s largest exports (after raw material mined from the Andes) and the easiest way to tour and sample wines is to visit the largest producer, Conche y Toro – there are dozens of tours daily. Always wanting to “Try This” and get off the beaten path I talked to 4 different tour agents on how I could see several nearby wineries in one full day tour. 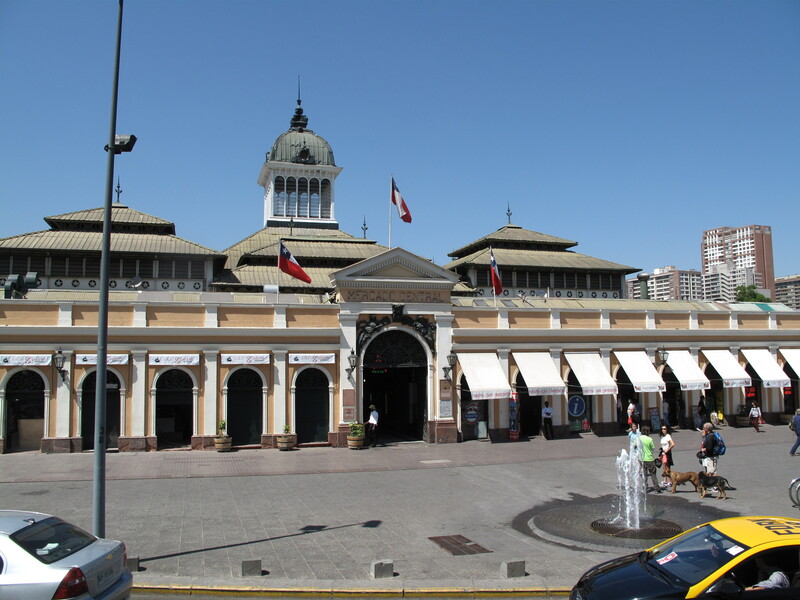 Eventually I was able to arrange a Isla De Maipu Tour with SKT Tours for $55,000 CLP. Somehow I was able to get signed up and go on this tour that turned out to be private, no one else wanted to taste wine!?! 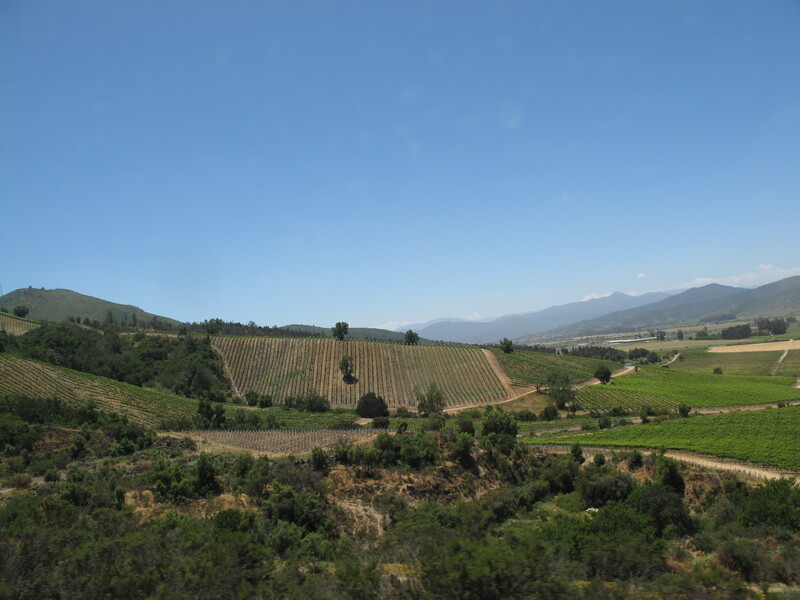 I have a lot of opinions on wine touring in Chile so going to separate it into a second blog, (link coming soon). 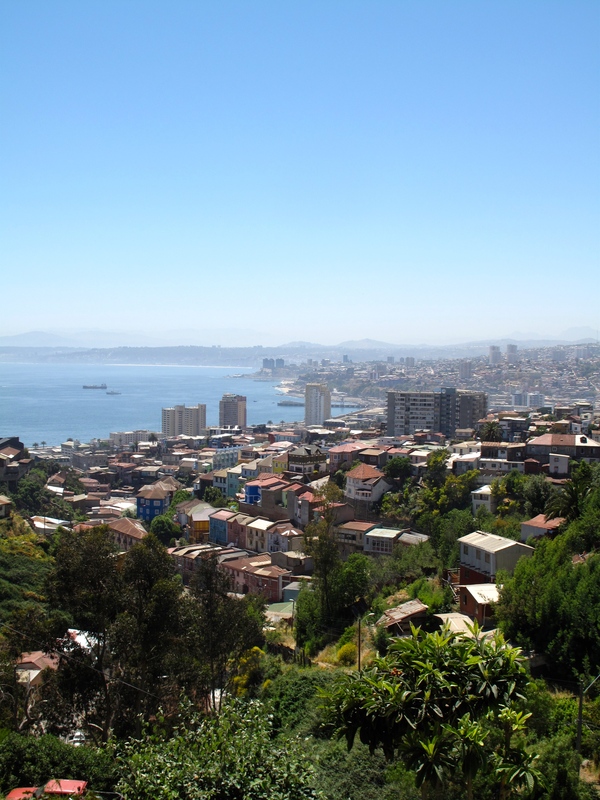 The following day took a Turbus to Valparaiso – buses leave every 15 minutes – and while this is a popular tour based day trip from Santiago to Valparaiso and neighboring Vine Del Mar are so easy to get to I highly recommend you take your self there and stay at least one night. 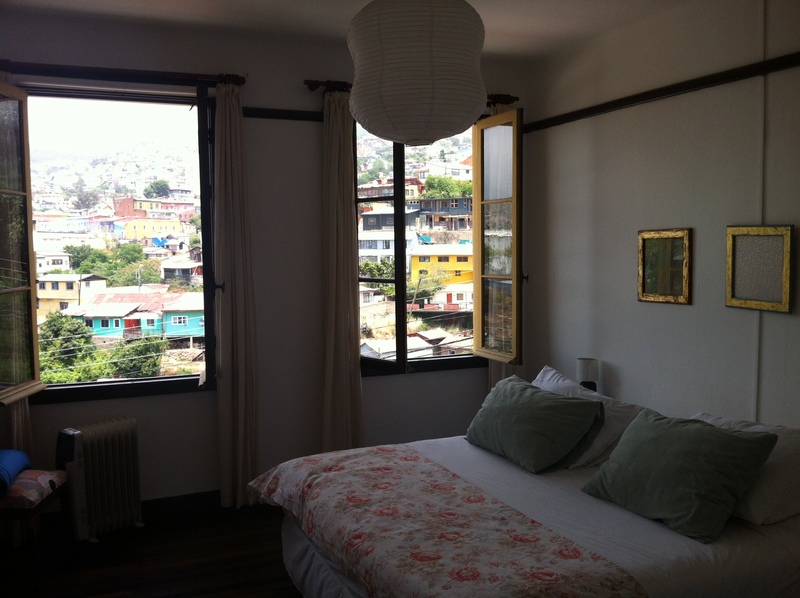 When I check into the friendly, clean, central located hostal Escalate al Puerto I became quick friends with the owner Marcela and decided to stay for 3 nights instead of one. 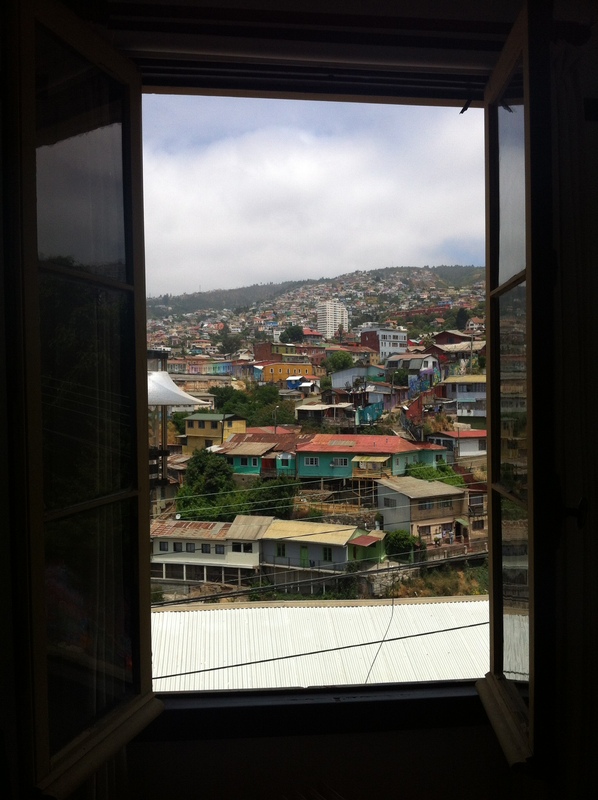 Valparaiso – view from my room! 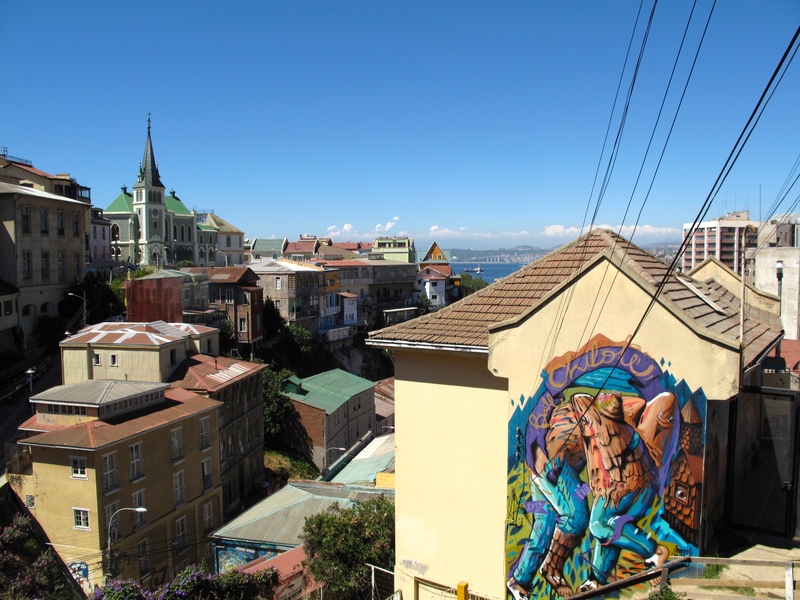 On day one I wandered Valparaiso, marveling at the hills, views, and outstanding graffiti art. 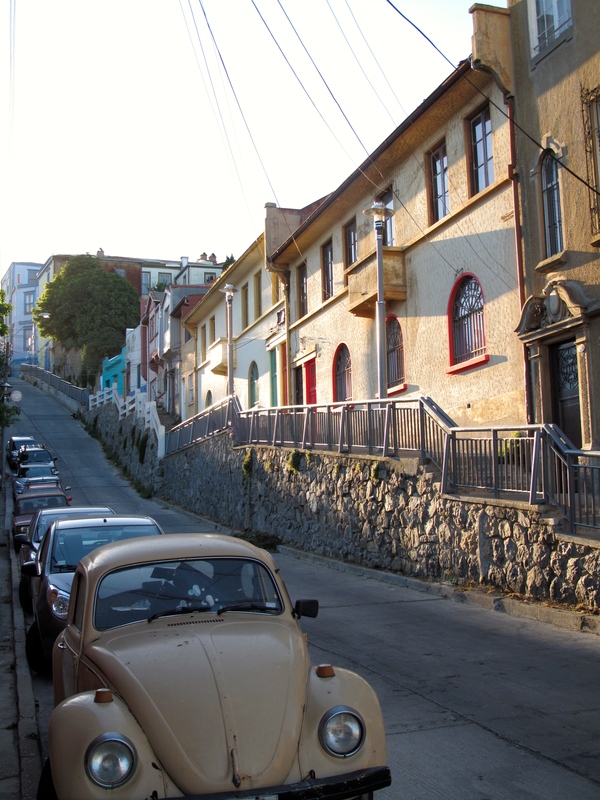 Day two I walked the Aveneda Aleman high above the town with breathtaking views then took a local bus to Vina Del Mar for beach time. Day three I studied accounting then celebrated with dinner and several bottles of wine with Marcela, who is from Santa Cruz an trained as a semmelior – wine expert. Around midnight Marcela and her cousin treated us to some guitar music and demonstrated a traditional Chilean dance, which reminded me a lot of pigeon mating. The male follows, circles, waves his hands and claps to the female as she sashays around the dance floor. My stay with Marcela in her lovely hostal and our drunken backyard dance will likely be one of the highlights of my trip. In week 6 I officially got Spanish back. Like turning on a light in my brain now when I listed to music, watch TV, and talk, for the first time in ten years I am thinking in Spanish. Still lacking the vocabulary necessary to have in depth conversations about business or politics, I am thankful for Philip and Marcela for talking to me for hours. Great meeting you at the observatory tour tonight near vicuna. If you have any more questions about the salar de uyuni or san pedro de atacama region, drop me an email. I’m also on facebook – name is sam xiew. 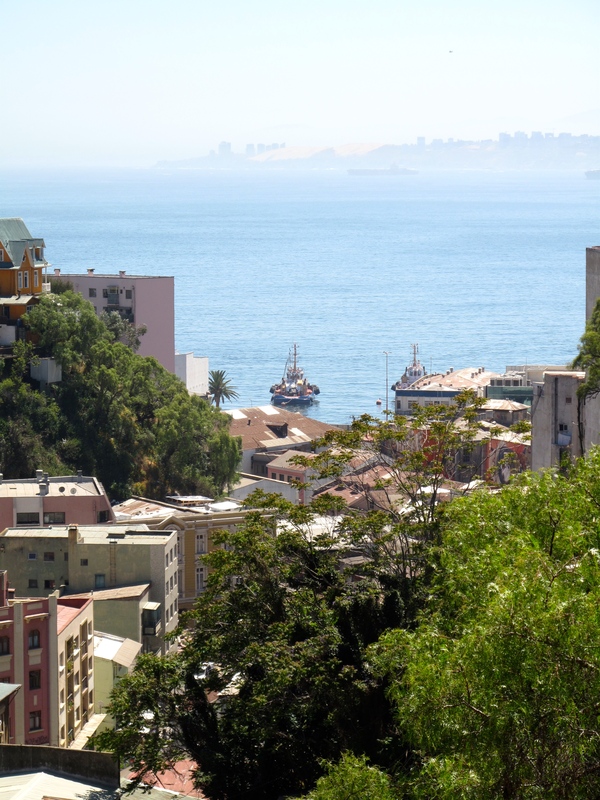 Great blog posts, the ones on santiago and valparaiso are particularly useful for me. Thank you very much for your photo report, it was very interesting and fun! Thanks Kevin, your estancia looks lovely! Will add it to my next visit must stay list.